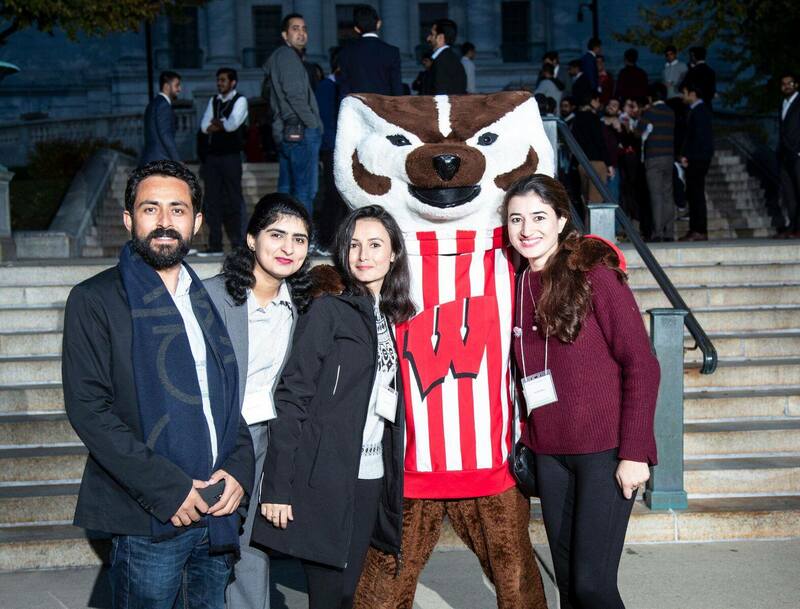 In October 2018, Pakistani Fulbright Master’s and PhD grantees from across the U.S. gathered in Madison, WI to participate in an exchange of information, skills and expertise on the theme of U.S. Social Movements. 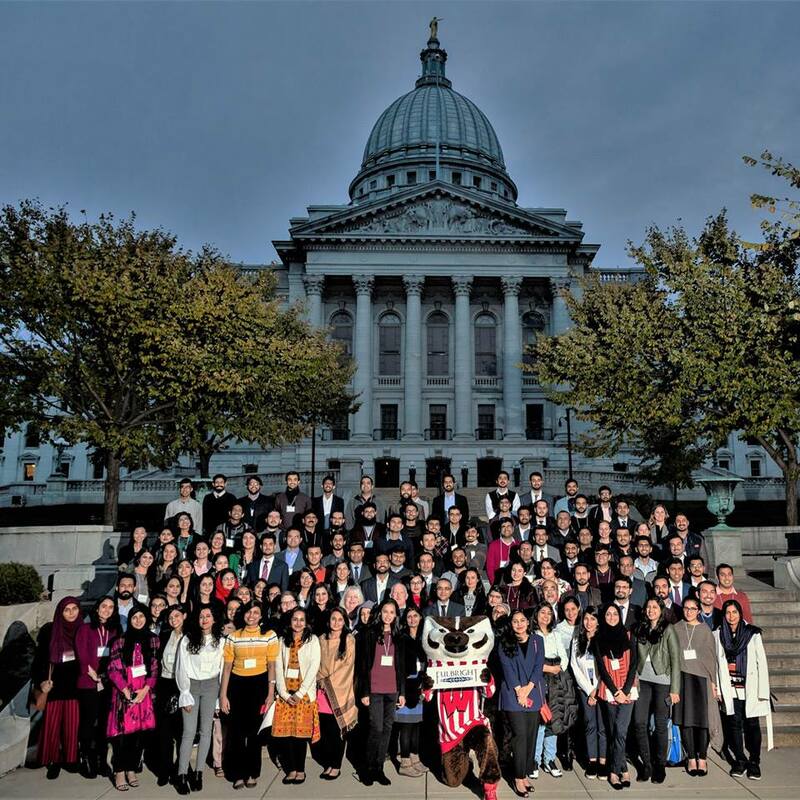 The three-day seminar included workshops, discussions, and a tour of the State Capitol and Wisconsin Historical Museum. In attendance at the opening dinner of the seminar, were the Consul General of Pakistan in Chicago, Javed Ahmed Umrani, and Deputy Assistant Secretary Bureau of South and Central Asian Affairs, Henry S. Ensher. Dr. Farhat Haq, Professor of Political Science, Monmouth College, and President, American Institute of Pakistan Studies gave the keynote address, an overview of the history of U.S. social movements. USEFP Executive Director, Ms. Rita Akhtar, welcomed the chief guests and Pakistani Fulbrighters to the Orientation Seminar, and expressed her gratitude to the U.S. Department of State for supporting this opportunity to introduce our Fulbrighters to the history of the United States and to the Institute for International Education (IIE) and the South Asia Department of the University of Wisconsin, Madison for organizing the event”. Seminar speakers shared their expertise on important topics such as leadership, the modern civil rights movement, disability rights, and tools for achieving academic success. Drs. Lori Scroggs and Jeremy Kautza, internal consultants from the UW Madison’s Office of Strategic Consulting, presented a workshop on Leadership, involving a combination of group work, reflective exercises, and hands-on activities designed to teach and promote American-style leadership skills. This session also included activities that highlighted common decision-making and communication styles. Professor Christy Clark-Pujara, from the Department of Afro-American Studies, UW Madison gave an eye-opening lecture titled “From Slavery to Freedom: The Modern Civil Rights Movement in the United States”. Another session highlighted disability rights and disability studies. Professor Sami Schalk, Gender and Women’s Studies, UW-Madison discussed the intersections of disability, race, and gender in contemporary U.S. literature and culture. This session included discussions and brainstorming on creative ways to think about accessibility and inclusion. For some Fulbright grantees, the Program is their first experience of living in a foreign country. This comes with its own set of challenges and adjustments. In order to help ease the transition and give grantees a better understanding of what they may face during their stay in the U.S., Professor Licho López, discussed culture shock and the tools needed to adjust to a new country. Participants had a chance to ask questions; they also shared their personal experiences of adjusting in the U.S., cultural shock, homesickness, and their expectations about their time in the United States. The Orientation Seminar was an excellent opportunity for Fulbright grantees to build on their skills and acquaint themselves with American culture. The sessions provided many networking opportunities as attendees bonded over personal experiences of culture shock and home sickness. 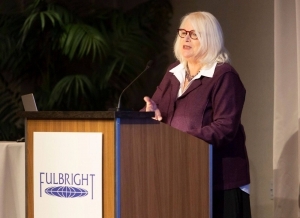 The Fulbright Program is the American government’s flagship academic exchange program. To learn more about the program, visit USEFP’s website.